Energy network businesses leading the way in improving customer outcomes were recognised last night at the Energy Networks Australia 2018 Annual Awards. Energy Networks Australia CEO Andrew Dillon said Australian networks were focused on modernising while keeping prices down and so it was imperative to continually seek new and innovative ways to manage networks and keep the customer at the centre of decision making. 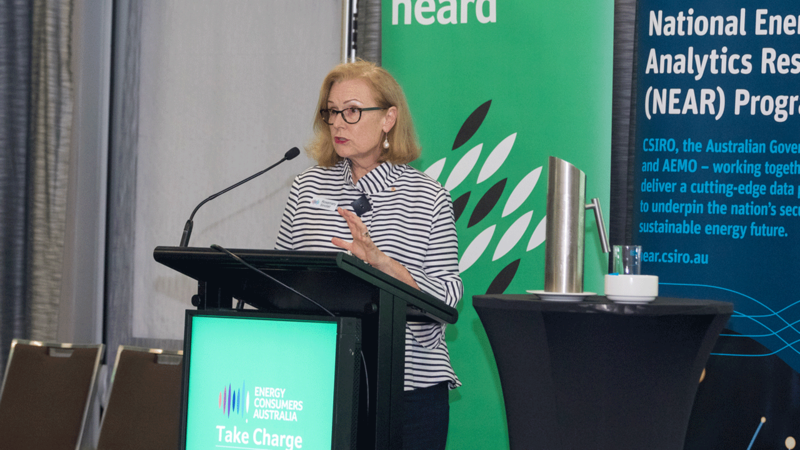 Energy Consumers Australia CEO Rosemary Sinclair presented the award, saying that embracing consumers as partners in change to drive down electricity prices was a critical part of building a new culture in the energy sector. 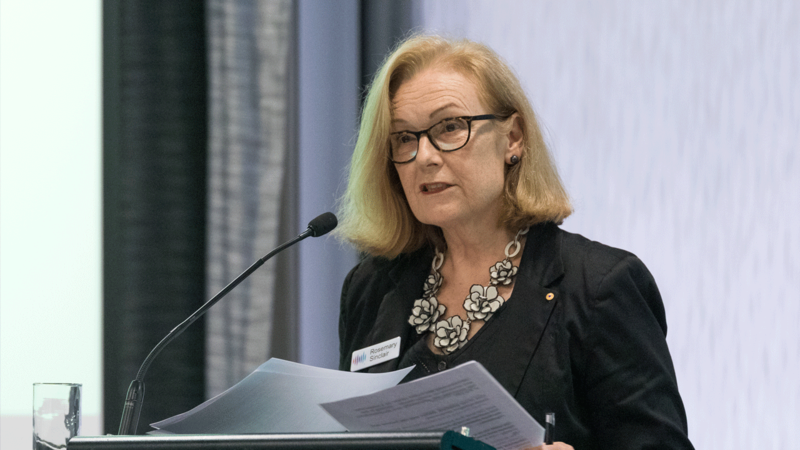 “The winner showed they had proactively engaged with their consumers to better reflect their views and priorities and allow that to shape services,” Ms Sinclair said. Western Power (WA) received a highly commended from the judges for its Kalbarri Microgrid project. Other finalists were SA Power Networks (SA), TransGrid (NSW) and the joint Victorian distribution businesses. ENA Annual Dinner: Chantelle Bramley and Roger Marshall, Essential Energy, Rosemary Sinclair AM, Energy Consumers Australia. Photo by Geoff Comfort. 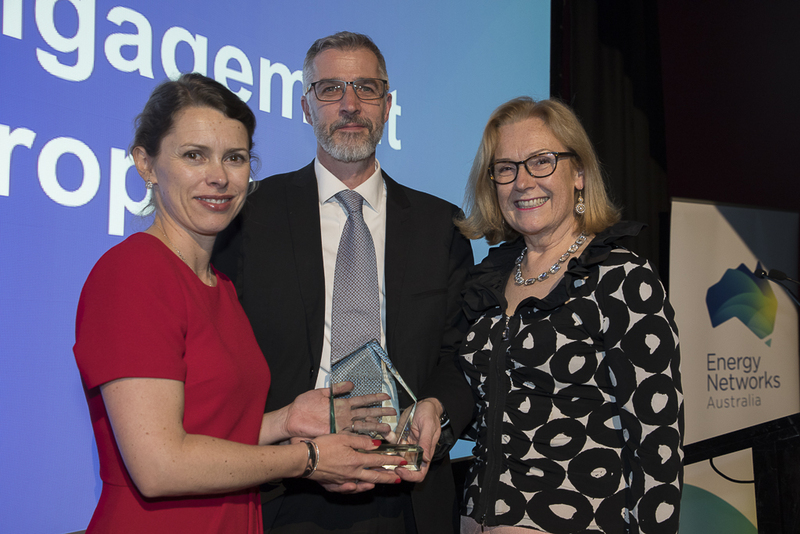 Energy Networks Australia CEO Andrew Dillon congratulated Essential Energy and TasNetworks for the different ways they had shown leadership and helped solve some of the industry’s most complex challenges. Runner-up for the Industry Innovation Award was Jemena, for its demand response trial: power chargers. Other finalists were Essential Energy (NSW) and Evoenergy (ACT). Mr Dillon also congratulated Powerlink’s General Manager Network Regulation, Jennifer Harris, winner of the 2018 Industry Contribution Award for her substantial contribution to the industry over several years. “This award recognises Jenny’s significant contribution to our industry and her clear focus on the customer driven transformation of our networks,” he said. Energy Networks Australia represents Australia’s electricity transmission and distribution networks and gas distribution networks. Our members provide energy to virtually every household and business in Australia. Energy Consumers Australia is the national voice for residential and small business energy consumers. Established by the Council of Australian Governments (COAG) in 2015, our objective is to promote the long-term interests of consumers with respect to price, quality, reliability, safety and security of supply.